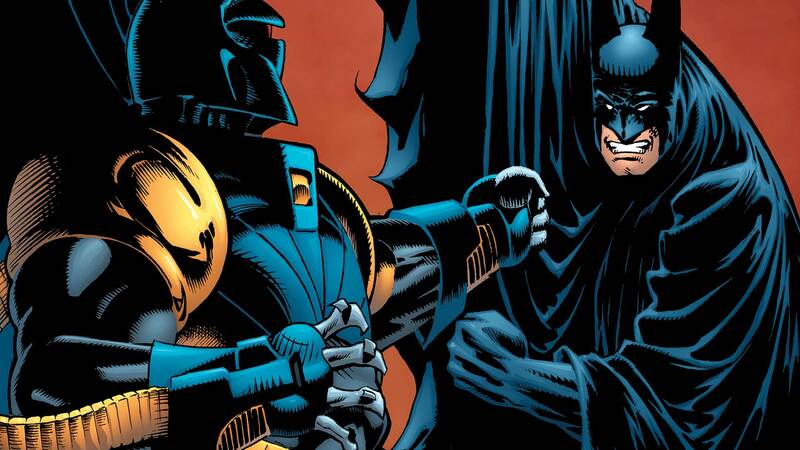 In this latest KNIGHTFALL recut title, Bruce Wayne is ready to resume his role as Gotham’s protector. But Jean-Paul Valley, the man who now patrols the night as a vicious and violent Batman, is not willing to give up his new identity. Driven to the brink of madness, the new Batman seeks to destroy Bruce as they meet in mortal combat. Collects Batman #509-510, Batman: Shadow of The Bat #29-30, Batman: Legends of The Dark Knight #62-63, Robin #8-9, Detective Comics #676-677, Catwoman #12-13 and Showcase ‘94 #10.